Trivium is currently on tour promoting their new album ‘The Sin and The Sentence’ and if you get a chance, you need to see them perform on a stage near you. 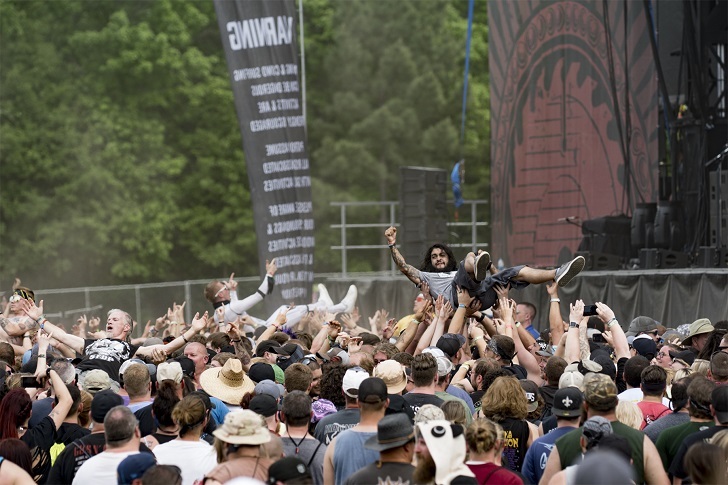 From clubs to stadiums to giant festivals around the world, there is no venue too big or small for Trivium. At every one of their shows, you can count on the crowd going wild moshing and body passing throughout their entire set. 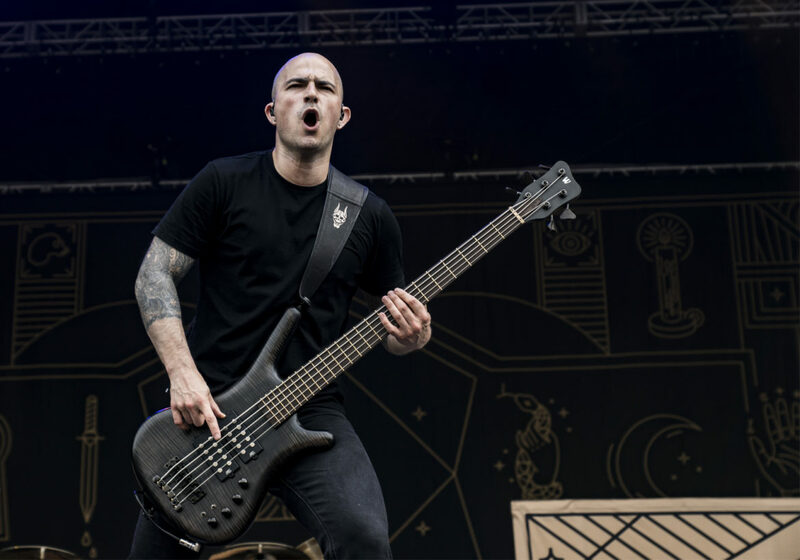 Bassist Paolo Gregoletto took time out of their Welcome To Rockville day to talk with us about all things Trivium. So what did we find out? Listen for yourself right here and stay tuned to Rockwell Anderson and Tattoo.com.